Four Valkyries , four color schemes, all awesome. ‘Nuff said. No projects on Kickstarter this week worth noting. 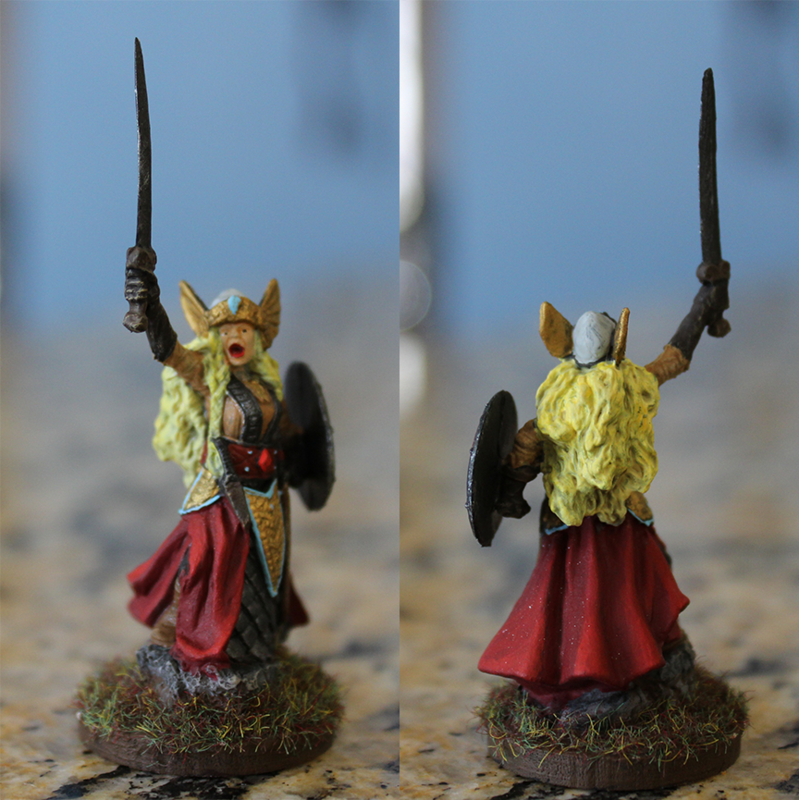 This was a gorgeous mini I painted as a classic Valkyrie. Far and away, I am most proud of the face on this one. 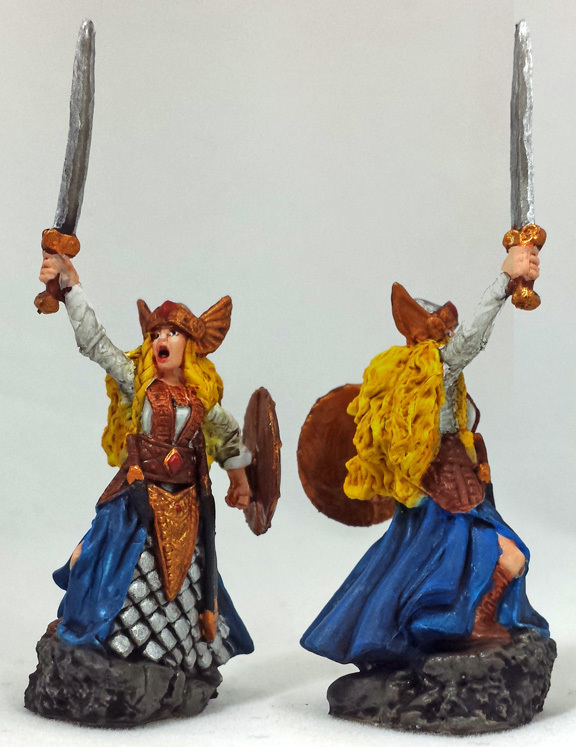 Brian P did some wonderful color blending on the cloth, and based it up nicely. Dave B chose some wonderful contrasting colors. I love this scheme. 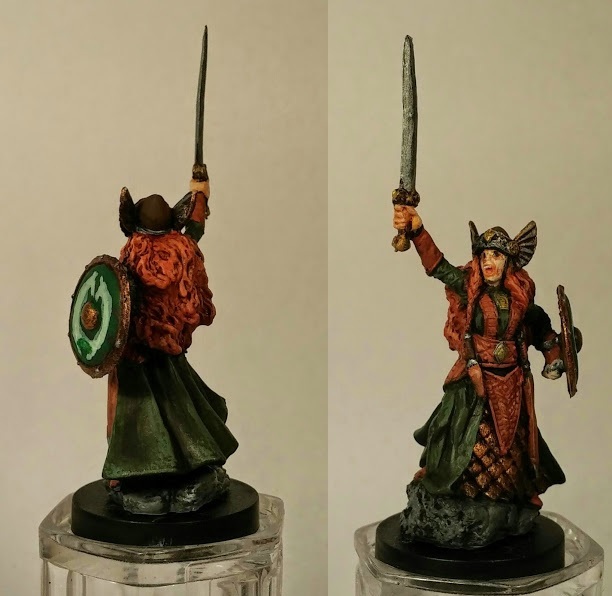 Arjen went with a cool color scheme, and was able to do a lot of fine detail with his new brush. David W, your face is awesome! I just wasn’t able to capture her expression quite right, but your version is great. I like Dave B’s hair color – the contrast works very well. I got scared at some point trying that much red hair, so I went the easy way out. And Arjen’s detail looks wonderful – great job! Funny, cause I find red hair so much easier than blond! Hallo everyone, long time no see! We had all hands full we couldn’t even participate on monday miniature. But things will change again, I hope I get the forst spirit painted until next week. Really great entries this time, Dave W: the face is really great! 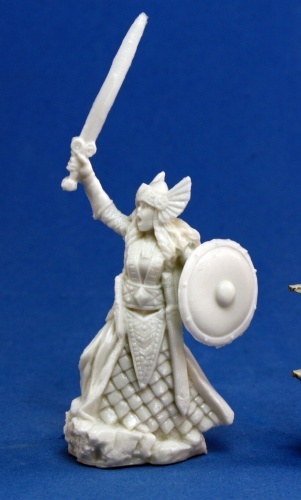 By the way, we found a kickstarter project that could be interesting for RPG- and miniature folks. The guy is making print-your-own building and terrain templates. Modular, stackalbe and, best of all, you can fould it flat between gaming sessions. As people with too many hobbies and not enough space, Antonia and I love especially the last part. It’s allread funded, perhaps it’s worth a look. The Rohan scheme was intentional. 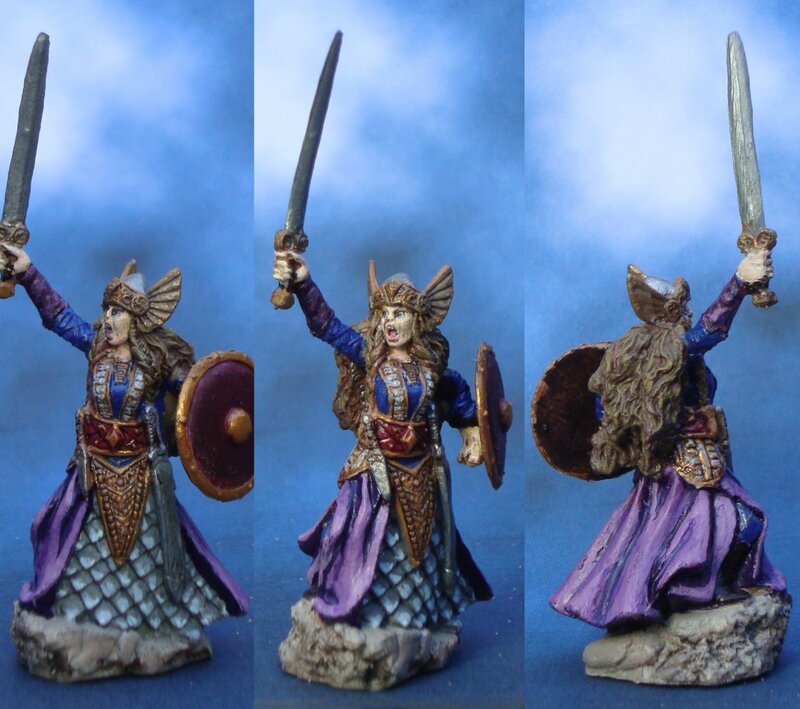 She’ll work as a shieldmaiden of Rohan (aka captain) if I ever field the army again. Her shield is based on Eowyn’s shield from RotK. PS. Awww, sorry! Didn’t mean to post a video or something, just the link. Feel free to remove it if it bothers you!